Questioning the top Podtrac “Snackable Podcast”: James Cridland, Brisbane-based radio futurologist and founder of the daily podnews newsletter, has investigated whether Podtrac’s new “Top 15 Snackable Podcasts” ranker is accurate. The #1 result of that chart, iHeartMedia’s Trending Songs: Pop, comes under Cridland’s analysis of Podtrac methodology and the website code of iHeartMedia stations where the program is distributed. His conclusion is that simply visiting a station website, without hitting the Play button of the podcast, trips the Podtrac counter and registers a download. Cridland includes Podtrac’s response. Big holiday download numbers for Alexa on Android: We’d seen predictions that smart speakers would be a top gift item in December 2017, and some early data shows that it was in fact the case. AppBrain found that the Alexa app passed 10 million downloads from the Google Play store on December 26. First, that’s a very large number. Second, as Bret Kinsella observes, it’s all the more compelling for the availability of Google Assistant for the Android users who downloaded the Alexa option. Perhaps listeners are willing to host multiple voice assistants? 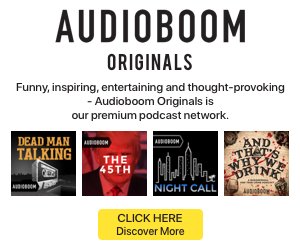 Start 2018 right – with a hilarious podcast parody: True crime podcasts may seem like a dime a dozen after the massive success of Serial spawned a renewed fascination with this style of audio storytelling. And for any sensation that rises so quickly and with such a particular artistic sensibility, there will inevitably follow the parody version. Sketch show Portlandia has delivered a delightful sendup of the true crime podcast, complete with folksy theme music and a Blue Apron live read ad.